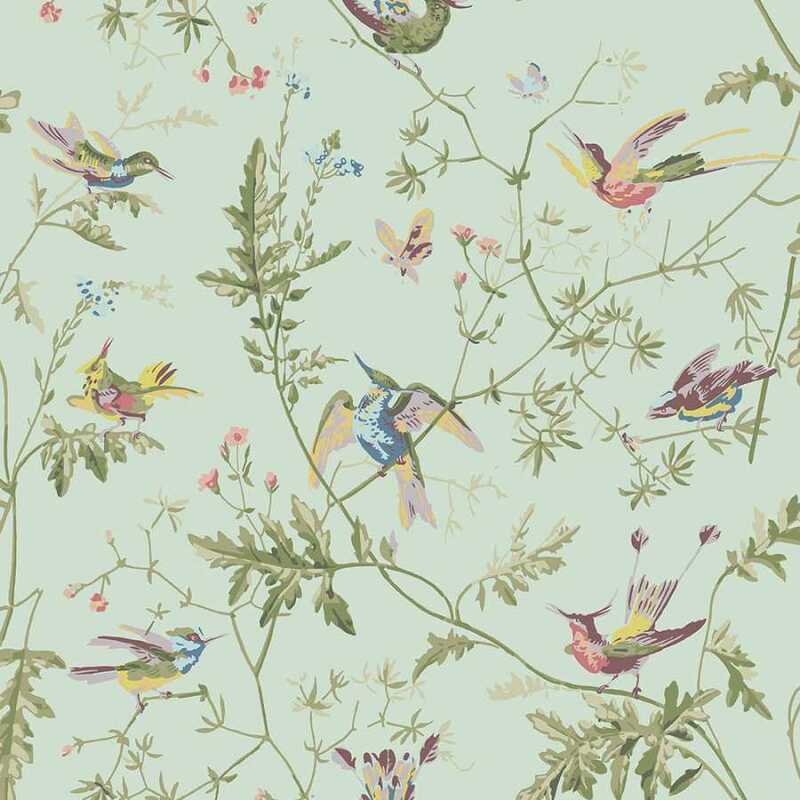 This sleek yet traditional design features a soft mint green background, multiple green toned branches and multicoloured birds for an eye-catching yet dark and sophisticated luxury wallpaper design. 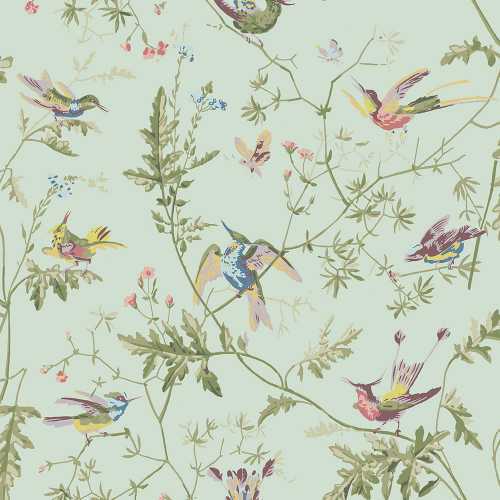 This feminine design is one of the most beloved and iconic Cole & Son wallpapers and it has been reintroduced to reveal two brand new colourings. Hummingbirds, has been revived in a range of five new colour palettes especially for the Archive Anthology collection for an extensive and versatile classic design. Alongside the classic duck egg, soft blue and cream grounds, two additional renderings include jewel toned birds fluttering on a dramatic indigo blue ground and softer prettier birds on a delicate ivory. 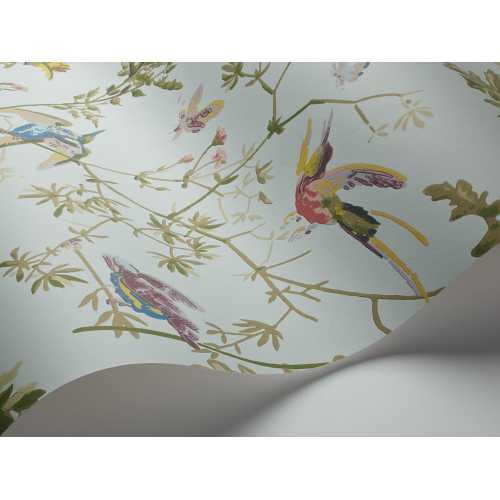 These new versions of Hummingbirds are produced on a non-woven base paper. Archive Anthology is a contemporary collection of wallpapers celebrating some of Cole and Son’s most iconic designs and the reintroduction of designs found in the Cole and Son archive. The Archives Anthology Hummingbirds 100/14069 measures at 52cm width by 10meters (per roll) with a repeat of 53.7cm.